It is known that Nandamuri Balakrishna, who was working up hard to start up his next film which is based on live story of AMARAVATI KING and Sathavahana ruler with the title Gowthama buddha sathakarni under the direction of director Krish who is well known for his emotional stories. It is known that in an interview Krish declared that he might have kept the story aside if Balakrishna has rejected the story. 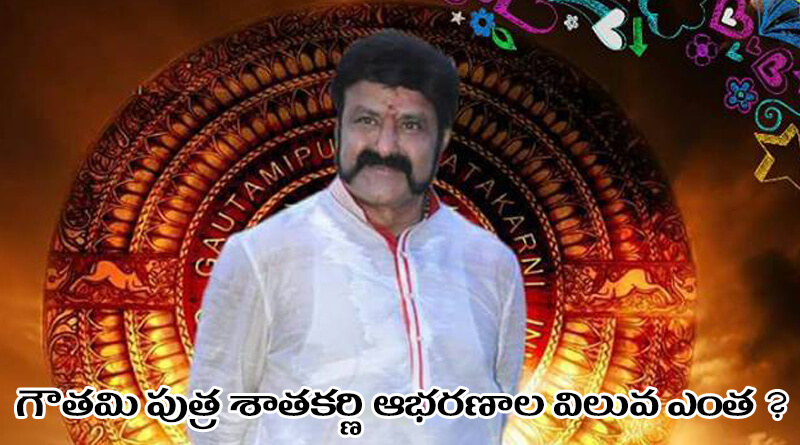 The words itself can say us that only Balakrishna is suitable personality and person with a capacity to do this film. Balakrishna redesigned himself with a huge mustache for the character. Now, it became hot topic in industry as the news broke out that balakrishna decided to use real golden ornaments in his film as Gunasekhar did for Rudramadevi. The costume of princess Rudrama casted in high which eventually broke up saying Balayya ornaments itself may break up the cost of more than 20-30 crores. Breaking these expectations the film unit declared that ornaments carried by Balayya in film costs less than 12 crores which are pure and real. Hearing this many opened their mouths for the simplicity of balayya and his far looks in controlling the budget of film.